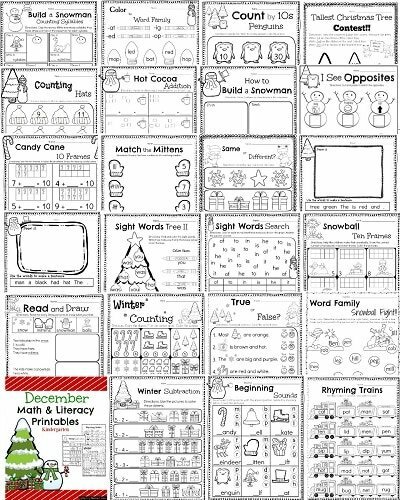 Looking for fun, December Kindergarten Worksheets? These cute printables cover building sentences, writing, counting syllables, subtraction and more. These sheets are no-prep, ready to print and go. They are designed with Christmas and Winter themed Clipart, and are fun to color for early finishers. “Awesome resource! Some went into homework; some was used for Daily 5. The kinders enjoyed it and the fun graphics were great!” – Rebecca M.
“Thank you for this! It came in very handy during the holidays when I needed some fun, but educational early finisher work!” – Nicole T.